In the 1950s the CIA and CBS were very close and this relationship enabled the CIA to use CBS to influence the media landscape in the United States. 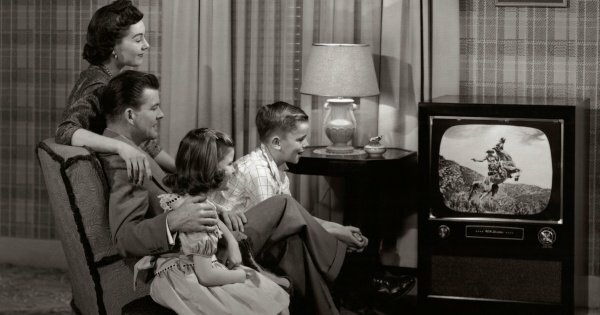 Much of this relationship is covered in Carl Bernstein’s excellent article The CIA and the Media, but one episode from 1956-57 shows how on occasion the CIA could actually stop a TV show from being made. In this case they used CBS as a proxy to muscle a smaller studio out of the way and effectively censor an unfriendly production about the OSS. Michael Burke is one of those people no one has ever heard of but whose biography makes for incredible reading. He joined the US Navy during WW2, in his mid-20s. Burke was then recruited into the OSS by William Donovan himself, serving in a variety of missions in Algiers, Sicily, Italy (including smuggling an Italian Vice Admiral out of the country) and helping to organise the French Resistance. Burke was awarded the Navy Cross, Silver Star, and the French Médaille de la Résistance. After the war he was the technical advisor on one of a trio of OSS-assisted movies, Cloak and Dagger, directed by Fritz Lang. This started both his media career and his post-war spying career. He joined the CIA and used his work for Warner Bros. as a cover while he travelled around South-Eastern Europe recruiting refugees from the Soviet Union, training them, and sending them back to their countries to form resistance units. Burke then left the CIA and quite literally joined the circus, before a falling out led to him quitting the big top and being recruited by CBS. He rose through the ranks, becoming President of CBS Europe and then returning to America as Vice President in charge of Diversification. 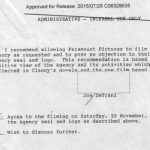 In November 1956 the CIA became aware that a NY film company called Flamingo Films was talking with a former OSS agent, Bill Eliscu. Eliscu was an aide to Colonel Glavin when Glavin commanded the OSS in Italy and was a member of the Veterans of the OSS. 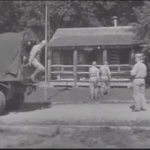 The idea was to make 39 half hour TV shows about the exploits of the OSS in WW2. The CIA were concerned about this, as they had maintained throughout the 1950s a policy of relatively strict secrecy regarding OSS operations. They believed that any mention of the CIA themselves or of their predecessor’s operations would only put the spotlight on what the CIA were doing in the here and now. As a result they turned down requests from TV and film producers for any kind of official endorsement or technical assistance, even making sure that they were written out of My Favorite Spy. According to a high-level CIA memo the Agency found out about the Flamingo Films/Bill Eliscu project via CBS Vice President Larry Lowman, himself a former OSS man. He had dealt with Eliscu’s proposal when it was sent to CBS and had told film-maker John Nasht, ‘known by Lowman to be a friend of ours’. Nasht brought the matter to the attention of the CIA ‘indirectly’ along with the advice that Eliscu had implied that he knew then-CIA director Allen Dulles and that Dulles approved of the project. As the memo to Dulles from Frank Wisner explains, the CIA were also in possession of a letter from another CBS Vice President, Leslie Harris, to a D.C. lawyer expressing a lot of interest in the project if the co-operation of the CIA could be agreed. The letter also mentions the idea of meeting with Dulles in the near future to discuss ‘the broad aspects of their public relations policy and to determine just how the relationship between the now defunct OSS organisation and present CIA should be handled’ (this is from the memo, but quoting Harris’ own words in the letter). b) As it may be expected to influence favorably legislative support of the Agency’s program. Wisner also mentioned contacting the DOD to check whether formal regulations existed governing such involvement in the entertainment industry and being told that there were none. He again suggested making a CIA-endorsed and sponsored show about the OSS and that CBS would be the ideal company to produce it. He noted that if CBS announced such an intention early on that it ‘might limit the sales market of the Flamingo productions to minor network or small independent stations’. Wisner recommended meeting with Leslie Harris to begin developing such an idea. Lyman B. Kirkpatrick then took over responsibility for the project and in April 1957 sent a memo to Dulles explaining that CBS were going to make a pilot episode to see if that satisfied the CIA and could be sold to a corporate sponsor. 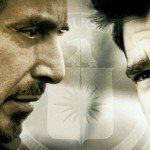 But Harris wanted a guarantee that if the project went ahead that the CIA’s co-operation could be guaranteed for a full series of 39 episodes. Harris also wanted some kind of attribution to the CIA or at least an acknowledgement that the US intelligence community had approved of the show. It appears this was a major sticking point because a few months later Dulles met with Leslie Harris and Michael Burke to discuss making a full series. Dulles refused Harris’ requests for attribution or endorsement from the CIA, as letters from both Harris and Burke record. Both were very gracious, saying they understood Dulles’ refusal completely. Harris even signed off saying ‘Meanwhile, if we can be of any service to you, let me know’. So the CBS show on the OSS never got made but also – and maybe this is the point – neither was the Flamingo Films series. I can find no record of it at all. 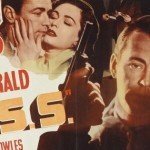 CBS also tried to make a single documentary about the OSS with some CIA assistance as part of their series Twentieth Century, but it appears that this too was declined. Flamingo went on to be involved in a legal struggle with another studio called Balsan Productions, which they won. 1 – CBS were at this time the CIA’s favourite media corporation and their friendship ran very close. 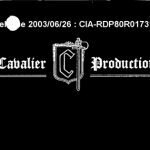 2 – The CIA’s mission was successful – they prevented the Flaming Films productions from seeing the light of day. While this is not direct censorship, it is using CBS as a proxy to effectively censor an undesired or unfriendly production. 3 – E Michael Burke remained in contact with and to some extent working for the CIA long after he resigned in the early 1950s. He probably never truly left the Agency. 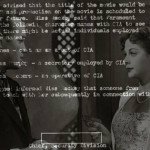 You can download all the letters and memos on E Michael Burke, the CIA and CBS and the OSS TV series here (ZIP).